We took our family to Yellowstone 2 summers ago and loved it. I thought that this book would be a nice souvenir of our trip. 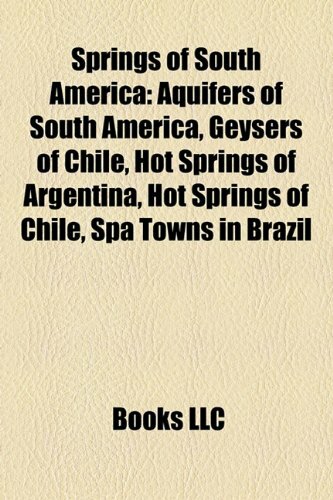 But now I've discovered all the beautiful springs, geysers and lakes that we somehow missed. A return trip is definitely in order. The colors that Susan Neider captures in her photography are breath-takingly beautiful. I particularly like the panoramic shot of Grand Prismatic Spring (aka Hell's Half Acre), with its fiery orange/red brilliance that stretches on and on. The eruption of Castle Geyser in 4 separate shots is beautifully captured as well. Yellowstone is a national treasure and I am glad that this book can remind me of its existence and stunning beauty until the next time I am able to get out there to visit. What a beautiful thing Susan M Neider's book is. It makes me want to go right back to Yellowstone - where I've been maybe four or five times - and make good all those uncanny spectacles - those eruptions from the lower depths - I'd missed in my pursuit of wolves, bears, moose and all the other wild things the park is heir to. But even if I'd seen everything she had photographed I'd still want to go back, because (as she demonstrates) the earth up there is in constant flux. Only yesterday I read a little story in the NYT which mentioned that Yellowstone had been shaken by dozens of tremblors, and that local seismologists were monitoring the situation carefully. If I had to choose but one of her photographs for my wall it would be that golden mask with the two blind eyes entitled simply 'Sand'. Of course many others vie for second spot, such as Chromatic Pool, the shots of the thermophiles, and Old Faithful. Until I raise the moolah to go back from this side of he Atlantic, Ms Neider's book will remain the perfect substitute. 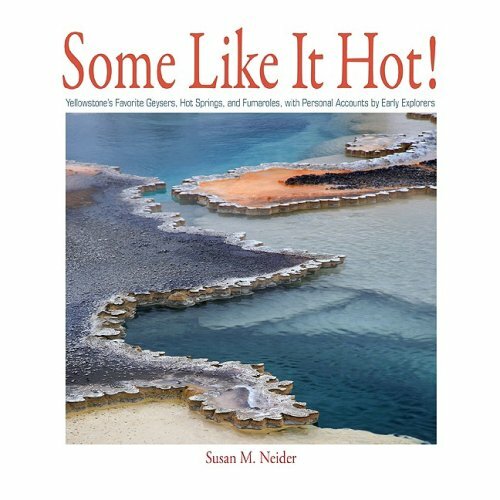 There are some amazing photographs of geothermal features located in Yellowstone National Park in this book. Yellowstone is filled with intriguing natural mysteries and has fascinated geologists for centuries. "Some Like it Hot! 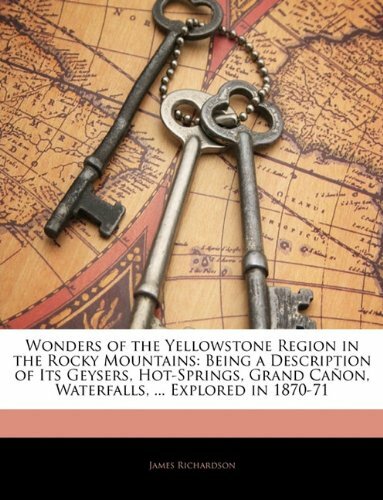 Yellowstone's Favorite Geysers, Hot Springs, and Fumaroles, with Personal Accounts by Early Explorers" focuses on the extreme natural features of Yellowstone National Park and is packed cover to cover with nature photos that will awe-inspire. A strong pick for any nature collection, "Some Like It Hot!" will surely bring joy to any extreme nature enthusiast. Edward Weston, Ansel Adams and the other masters of black-and-white nature and landscape photography had it relatively easy.It was simple to go into their darkrooms to expand and contract tonal ranges to provide both legible information and strikingly beautiful images. Today's color photographers have an additional task - the color their cameras capture rarely matches the color their minds capture.If you're not photographing flowers, it's amazing how muted the colors of nature can be to a digital camera's memory card compared to a human's memory card. Photographers have solved this with filters, duping, only shooting during those magic minutes before and during sunset and sunrise and, of course, most of all, computer manipulation.And, sadly, for some reason, the more garish, the more poster-like the images, the greater the public acceptance. Hooray for Susan Neider for walking a slippery slope and finding the right balance point - one that says, "Look how beautiful this world is." rather than, "Look at what a clever photographer I am." 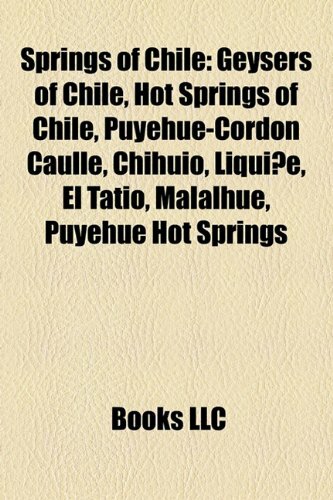 This little field guide is hands-down the best guide to use in choosing which geysers to view, and where, while in Yellowstone National Park.T. Scott Bryan's "The Geysers of Yellowstone" is also a great book, but has few photos and all in black and white (except the cover), and its comprehensiveness reduces its usefulness for quick consultation during a visit.Buy Bryan's book to learn everything there is to know about Yellowstone's Geysers, but buy Schreier's gorgeously illustrated and compact Field Guide for use IN the Park on your vacation. 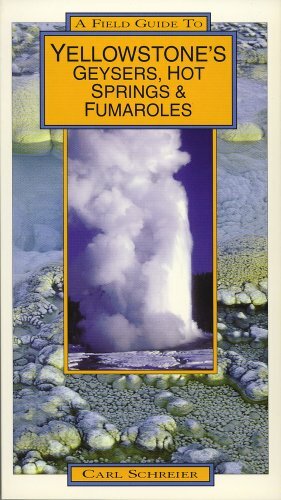 This book has all the information you need about the geysers in Yellowstone.Which basin of the park each geyser is located.It has maps of the different basins and where you will find each of the Geysers.Includes color pictures of each geyser and gives great detail about each, including intervals of when the geyser errupts. I cannot speak highly enough of this book. 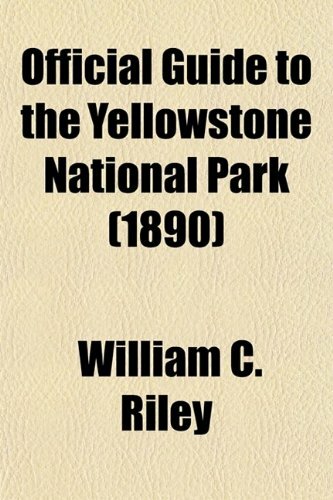 My boyfriend and I just got back from our first trip to Yellowstone- and this book was invaluable to us. We took it with us as we went to the various geyser basins. It was incredibly helpful! We read about the geysers,hot springs, fumuroles and mud pots as we got to each one. The book also has great color photos of each feature. Fountain Paint Pots was originally named "Mud Puff" by the 1871 Hayden survey and later turn-of-the-century tourists called it Mammoth Paint Pots.But guide books referred to the area as Fountain Geyser and Paintpots and the name was adopted in 1927. The mud is composed of clay and fine particles of silica broken down by acids and grinding action. The tinting of the mud in colors of pink and gray from iron oxides is derived from the original rock. The bubbling action results in escaping steam and gasses- mainly carbon dioxide and hydrogen sulfide. In the spring and early summer the mud is thin and the pots boil. By late summer and fall there is less moisture and the mud is thicker, creating unusual shapes and formations. The only gripe that I have about this book is that it does not list every single feature. There is a map at the beginning of each section- in red are the features that are talked about- and in black are the ones that are not mentioned. In the Midway Geyser Basin, Opal Pool is not talked about. We walked up to it and wanted to know more about it. But I do highly recommend this book. Most of the features are listed. The author talks about the history and goes into detail about the characteristics about the features. 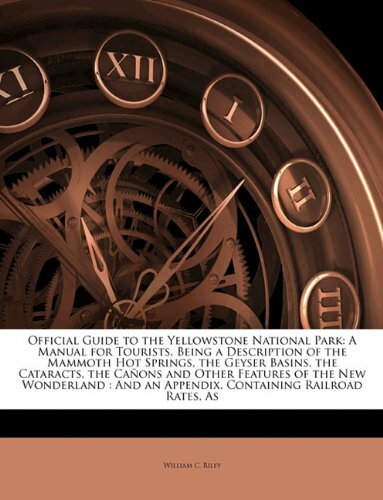 I recommend this book for anyone taking their first trip to Yellowstone. 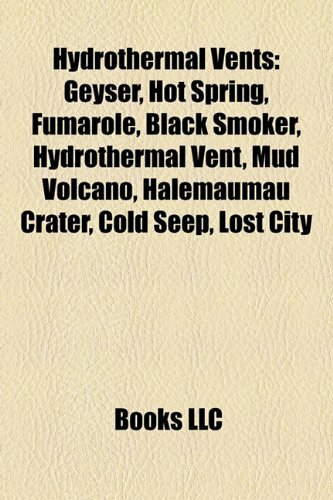 Take this book along with you as you tour the fascinating geological features of the park.You will be glad that you had this helpful guide. This book also is great for everyone who loves Yellowstone and would like to learn more about the magic of this park. A very useful book when touring Yellowstone National Park.